There were collections aplenty among product launches this week. But before I round up my pick of these (from By Terry, NARS and Trevor Sorbie), I want to talk about a new Balance Me product heading our way in August, which I got a sneak peek at on Wednesday night. If you adore the scent of roses or suffer with highly reactive skin, I think you’re going to squeal over this. It’s a reformulation of the original Balance Me Rose Otto Body Balm, containing 30% more essential oils than before (it’s 100% natural) and created to deeply soothe and nourish skin. New is a high grade vitamin E botanical complex, as well as artic cloudberry, a small yellow berry native to the Artic bursting with natural antioxidants. Anti-inflammatory lavender, mandarin and chamomile also feature, as does healing rosehip oil. I go weak at the knees for most things containing a rose scent. The blend here of rosa damascena, rose geranium and palmarosa is just heavenly, and shea butter gives a rich thickness to the texture. I scooped a small amount from the preview pot on show at Wednesday’s bloggers event and had a quick test on the back of my hand and lower arm. I truly think any ‘body’ would feel happy to be cocooned in this, sensitive or otherwise. 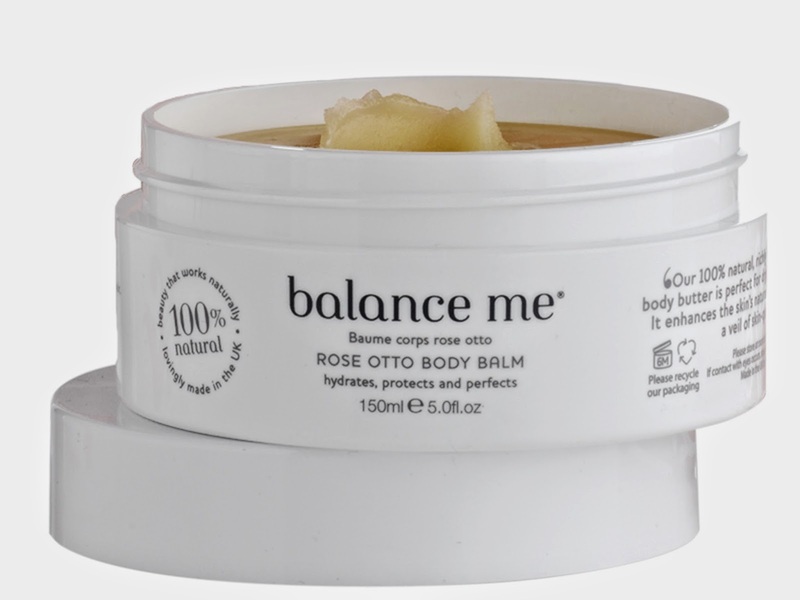 Balance Me Rose Otto Body Balm costs £25 for 150ml, and will be available from August from stockists including Debenhams, John Lewis and Look Fantastic. 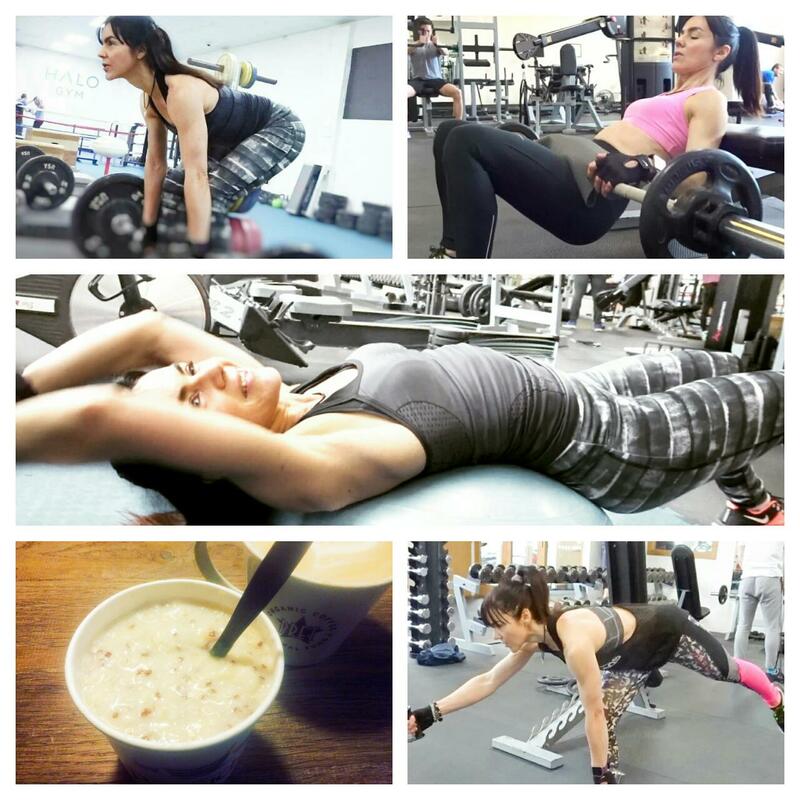 More on Balance Me here. 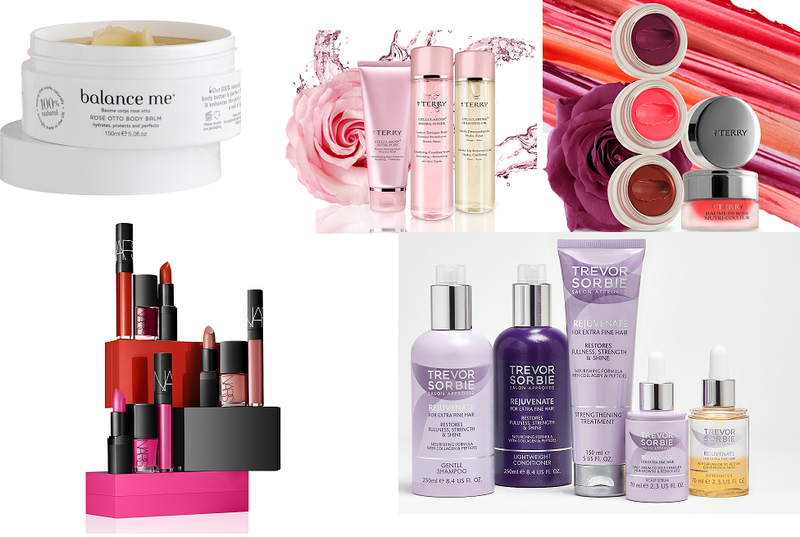 Arriving the following month is a new skincare and makeup range from By Terry. By Terry is a byword for innovation and was early to fortify its makeup with anti-ageing skincare. Consequently it is one of my favourite makeup brands. The new By Terry Cellularose skincare line comprises three products: an oil-based makeup remover for eyes and face, a balm cleanser, and a clarifying toner. The By Terry Rose Infernale makeup range includes a powder blush, 6 new lip balms, and a dual tasking kohl pencil that can be used as eyeshadow and eyeliner. I haven’t seen either range in the flesh yet. But an on paper highlight would be the Terrybly Rose de Rose, a pink powder blush featuring light reflecting particles, correctors and mineral pigments to lift up or tone down the complexion. Apparently it is perfumed too, with the scent of roses! The By Terry products are priced between £29 (kohl eyeliner) and £72 (powder blush). They will be on counter nationwide from September. More on By Terry here. 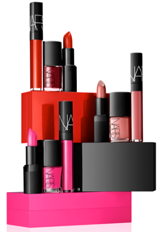 NARS has announced 3 limited edition nail and lip sets for summer, each presented in iconic NARS packaging. Uninhibited is a trio of nudes – Dolce Vita lipstick, lip gloss and nail polish - gifted in a sleek black lacquered box. Climax collection features the shocking pink hues of Schiap, with the lipstick, lip gloss and nail polish housed in a matching pink lacquered box. Maitresse, meanwhile, is a NARS Jungle Red showcase, with the lipstick, lip gloss and nail polish packaged in a signature red lacquered box. Priced £55 each, the summer collections will be available exclusively at Selfridges from 1st July. More on NARS here. 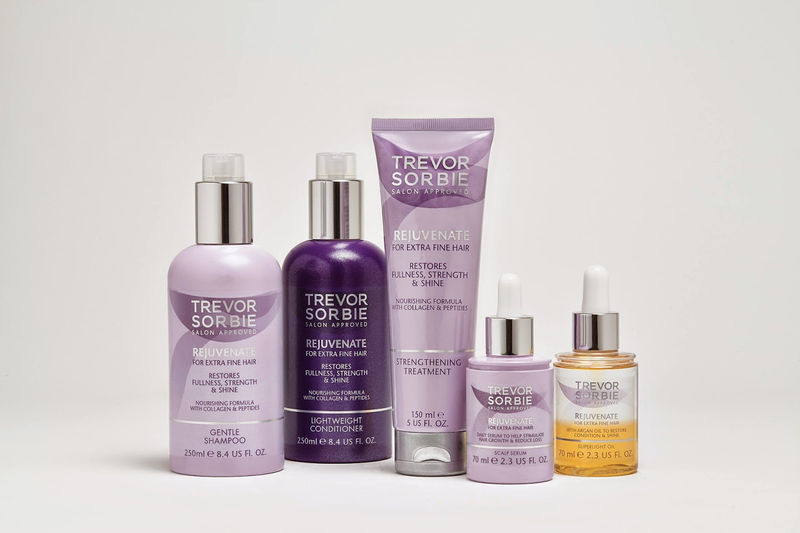 If you have extra fine or thinning hair, you may want to check out this new haircare range from Trevor Sorbie. Called Rejuvenate, it features a collagen and peptide complex that is said to help restore, repair and strengthen the hair cuticle. It comprises a shampoo (£7.99), conditioner (£7.99), a strengthening treatment (£8.99), a scalp serum (£9.99) and oil (£9.99). The serum in particular sounds interesting. It is a leave-in treatment said to calm and relax a taut scalp, relieve itchiness as well as increase blood supply to help stimulate hair growth. There are products with similar claims on the market but the pricing here is pretty keen. Rejuvenate will be available from Boots, Trevor Sorbie Salons and online. More on Trevor Sorbie here. The Body Balm by Balance Me sounds sooo nice, I really like their products! Being a fan of Nars I also like the sound of those too.. I will definitely be keeping an eye out for the pink shades! I would love to try the Nars collections, they would make fabulous gifts! A great write up. The body balm sounds fantastic and full of natural oils that I already use in my handmade creams. It would tempt me. Oh loving the look of the By Terry and the new Nars sets! I love hearing about new realses!